Rob Conkie is Senior Lecturer in Theatre at La Trobe University. 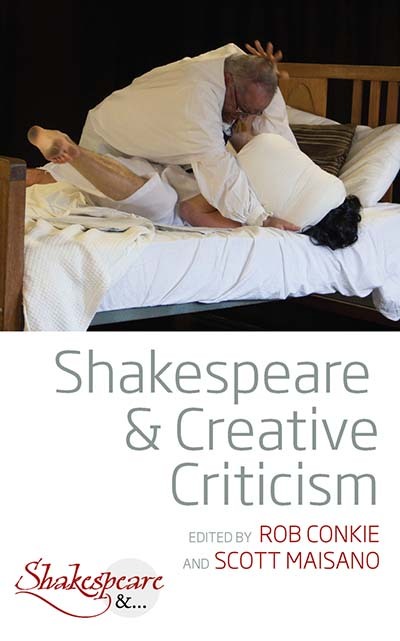 His teaching and research integrate practical and theoretical approaches to Shakespeare in performance. He is the author of Writing Performative Shakespeares: New Forms for Performance Criticism (Cambridge University Press, 2016) and The Globe Theatre Project: Shakespeare and Authenticity (Edwin Mellen, 2006). He has directed about a third of the Shakespeare canon for the stage. Scott Maisano is Associate Professor of English Literature at the University of Massachusetts Boston. His work on Shakespeare has been featured in Lapham's Quarterly, Smithsonian Magazine, Scientific American, The Telegraph, Ideas with Paul Kennedy (CBC Radio), and The Science Show (Australian Broadcasting Company). He teaches classes on Shakespearean Scene Writing to undergraduate and graduate students and chaired a workshop on the topic at the Shakespeare Association of America. Chapter 6. Echo and Narcissus, or, Man O Man!